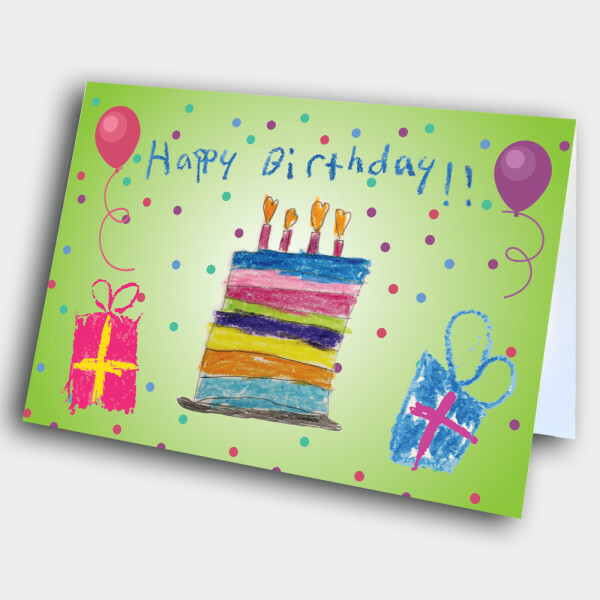 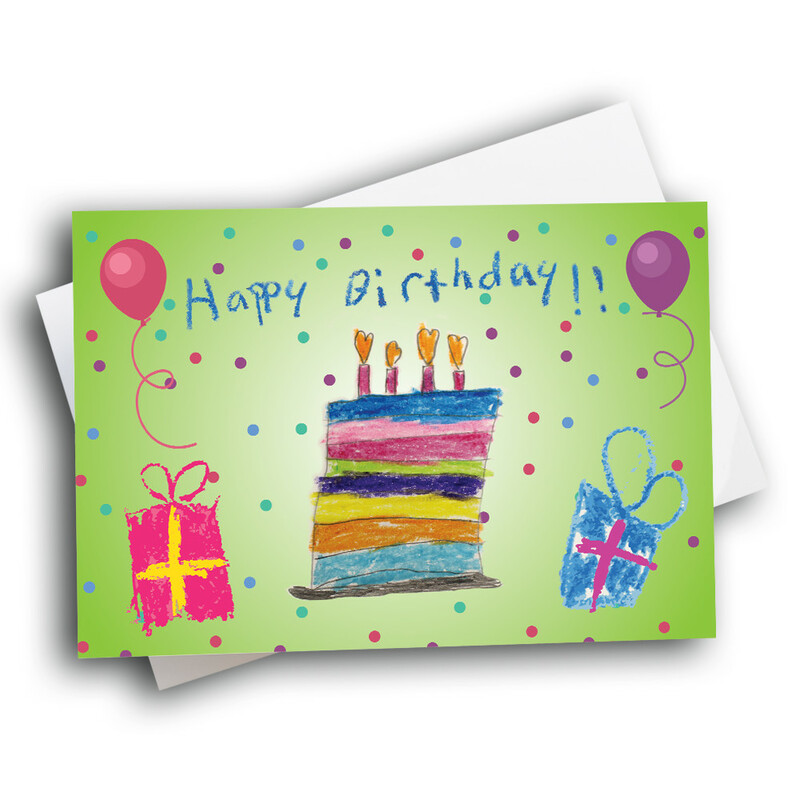 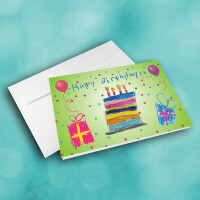 Send a heartwarming birthday greeting with this birthday card made from children's artwork. 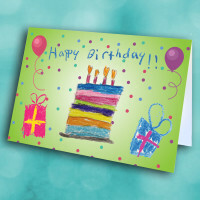 There is nothing more endearing than a card handmade by a child; this birthday card captures that charm. 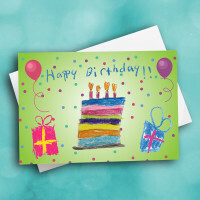 The front features a hand-drawn birthday cake, topped with heart candles. On either side sits a present and balloon, and the birthday message is written across the top in child's handwriting. 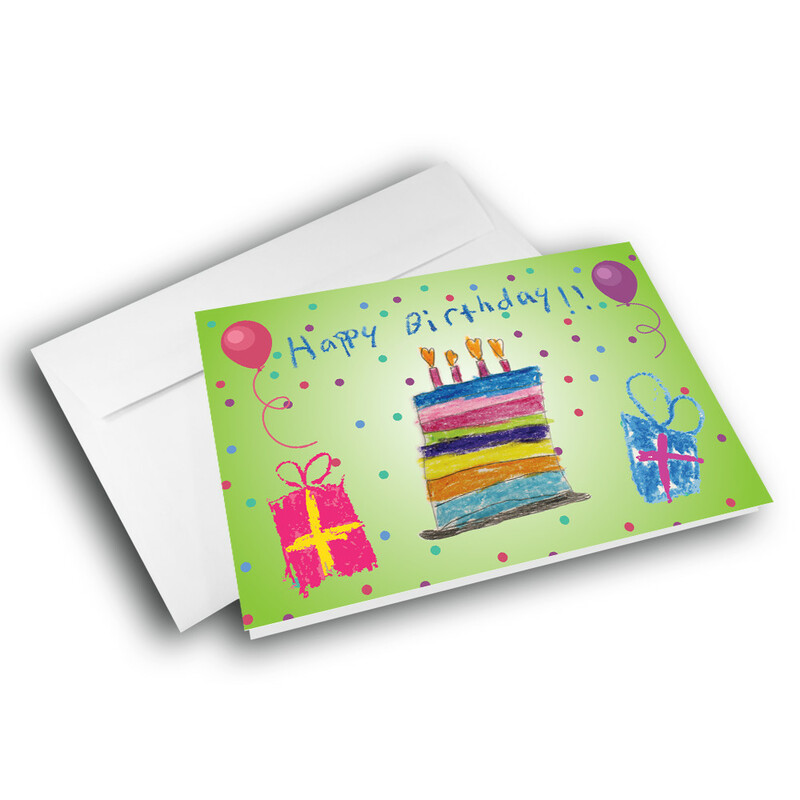 Customize a message inside to make this a personalized birthday card.